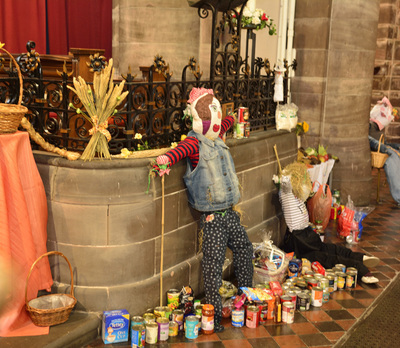 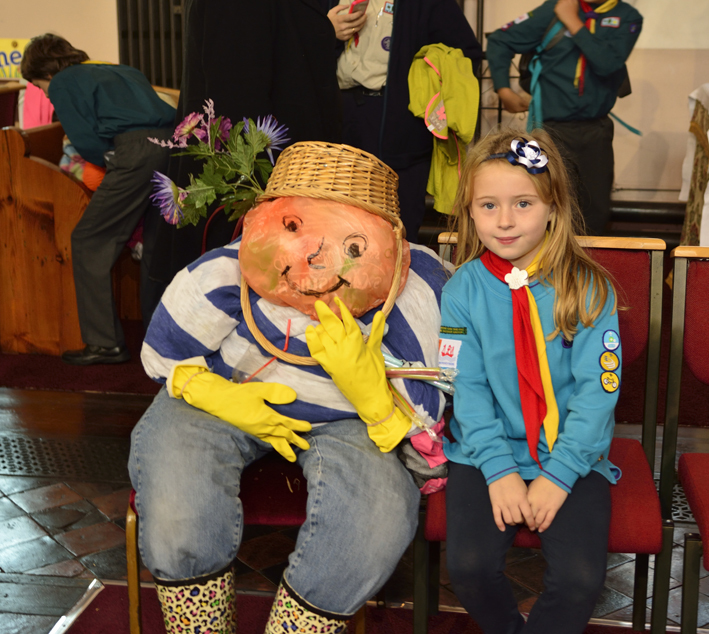 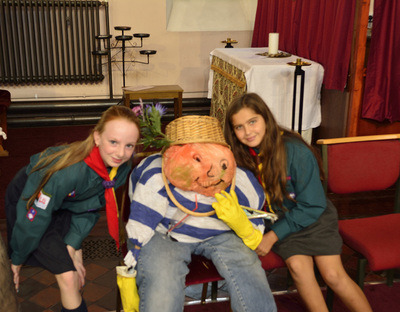 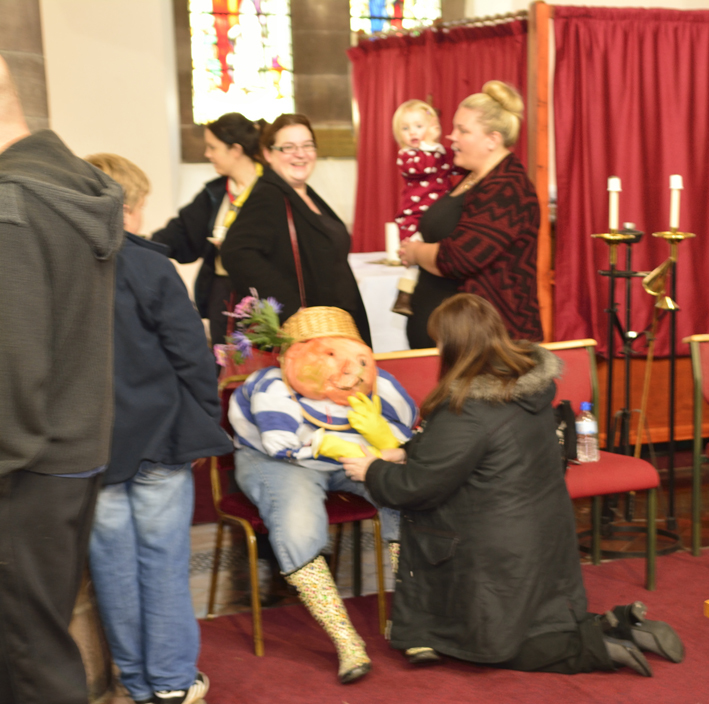 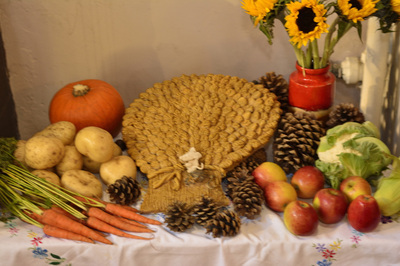 On Sunday 12th October we held our Harvest Festival Service. 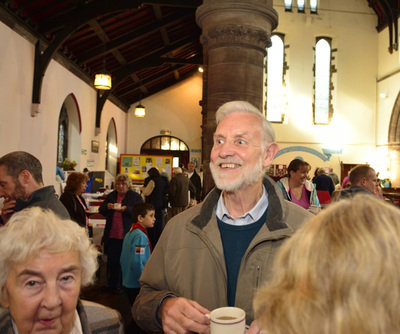 The church was full with old and young alike - A little noisy at times but good fun. 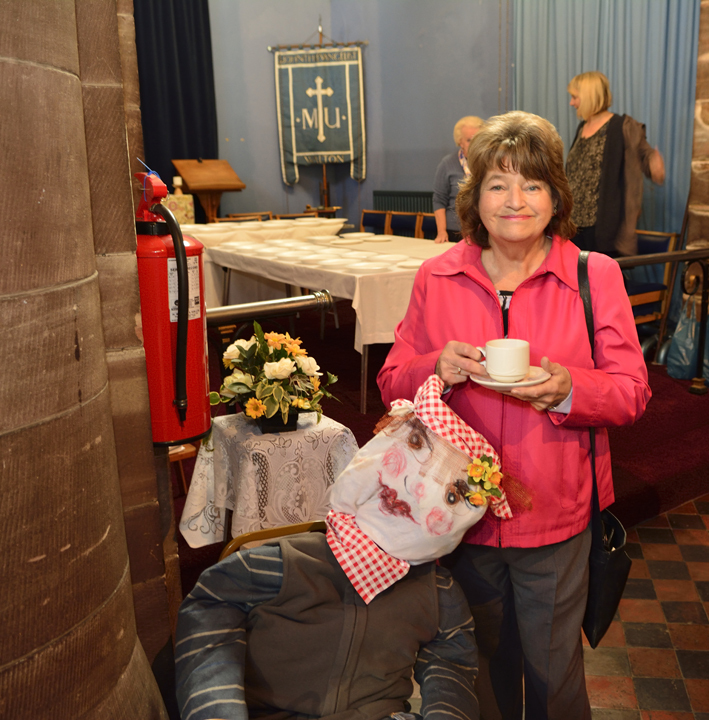 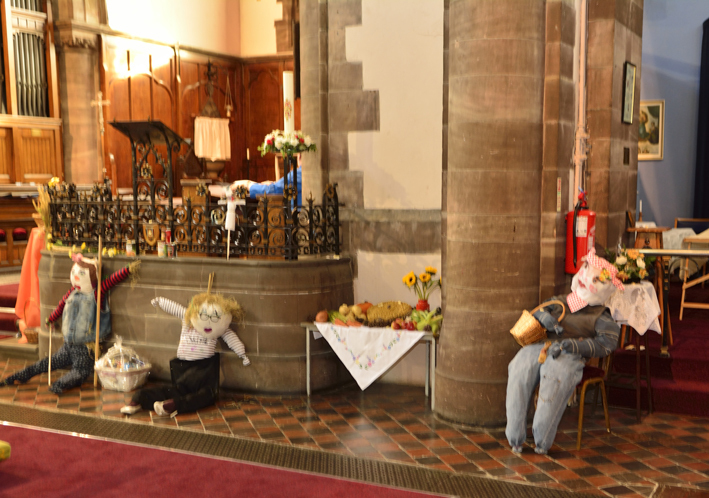 We had about 12 scarecrows around the church. Some traditional, others not so. 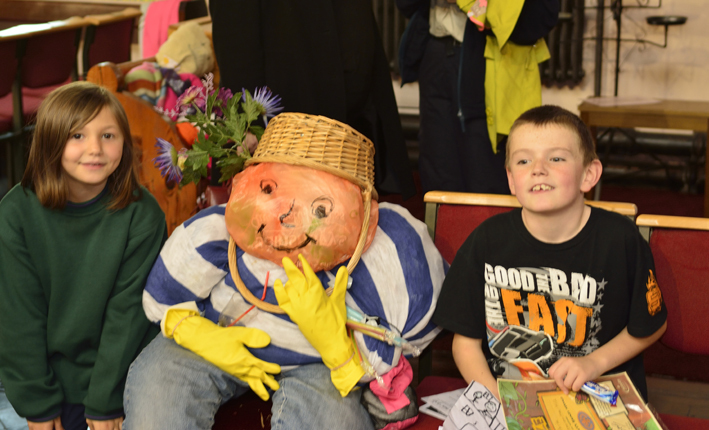 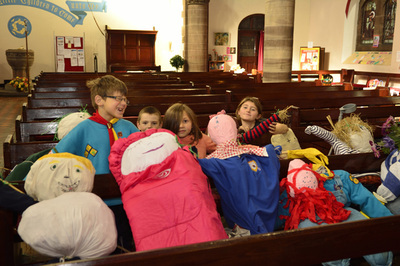 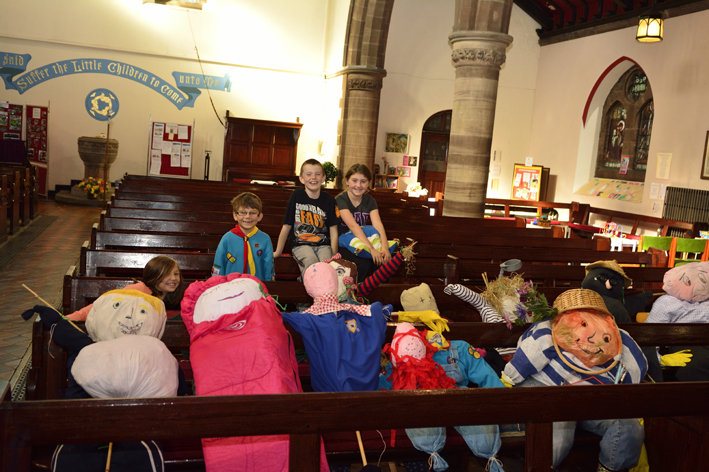 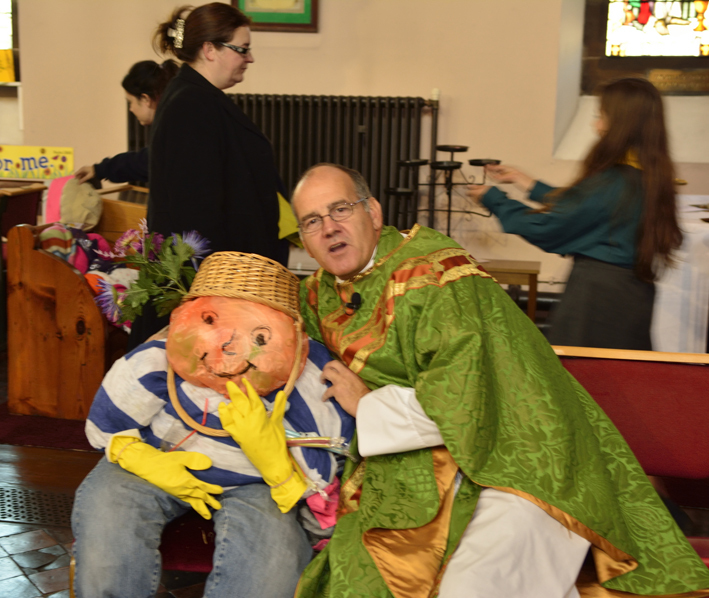 Even though good music and singing was filling the church, none of the scarecrows made a peep. After the service we held a Harvest festival lunch. What can I say. Good company with family and friends, good food and a good time had by all.